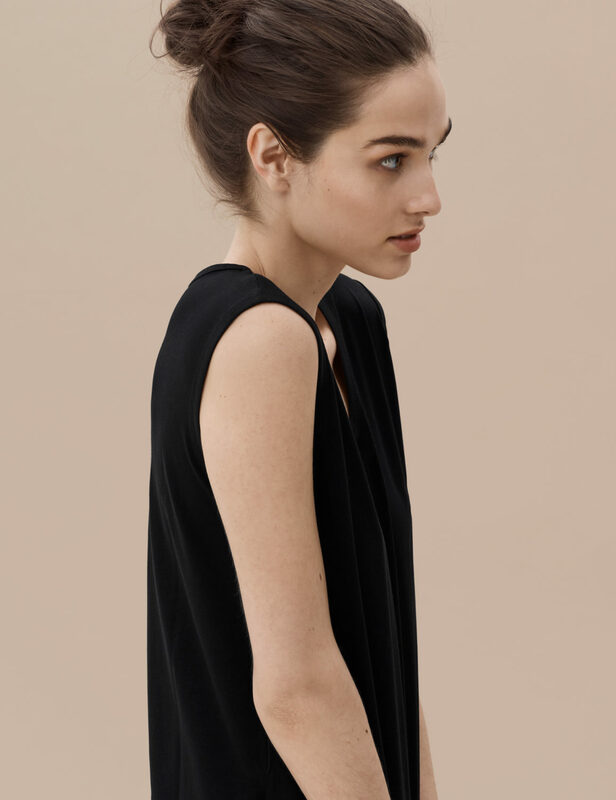 Our refined interpretation of the sleeveless t shirt crafted in our super soft and light cotton jersey fabric. A multi purpose piece ideal to lounge around or wear out, it affords both style and ease. Crafted from our premium lightweight jersey fabric — superfine two-fold (80/2) yarn made from the finest extra long staple Peruvian Pima cotton. We hand harvest our cotton to preserve fiber length and pureness, maintaining its unmatched softness and natural luster. Cut in an ultra-flattering streamline silhouette. We recommend that you take your normal size or a size up.